Sure, when talking bars, it’s what’s on the inside that counts (alcohol), but sometimes you just want to swirl your highball amidst a sparkly backdrop, and leave the damp bars with the cheap beer and touch-screen games for another day. While drinking in paradise is a beautiful thing regardless of the scenery, we narrowed down our favorite aesthetically pleasing watering holes -- beer goggles not necessary. 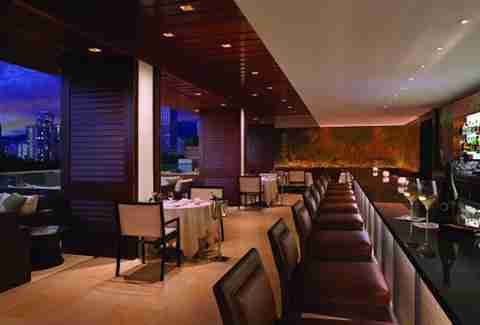 If James Bond were to ever hunt down bad guys in Honolulu, this upscale lounge would be his first post-victory stop for a shaken, not stirred martini -- and not just because there’s a drink named after him. No T-shirts and beachwear are allowed at this Waikiki bar, and tiki torches and surfboard décor give way to dim lighting, a dark wood interior, and retro loveseats. 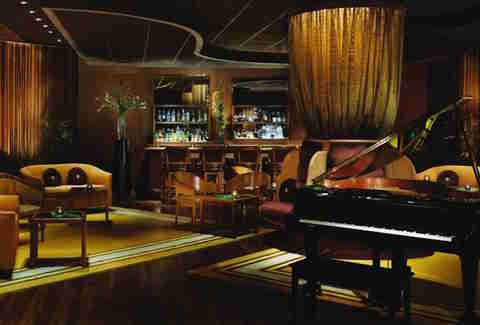 Nightly live jazz is the soothing soundtrack to evenings of whispering in your date’s ear over strong cocktails. 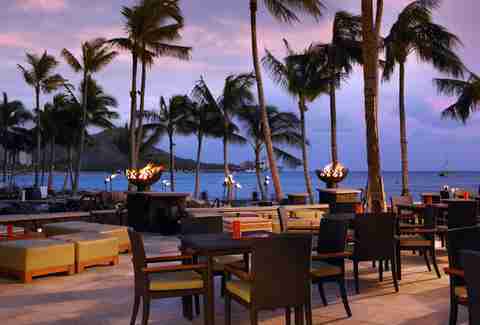 With breezy views of Diamond Head, this beachside bar would be beautiful even if it were outfitted with plastic chairs and foldout tables. But since its view happens to be designed with open-air VIP poolside cabanas, plush modern upholstery, fire pits, and a fiery back-lit bar, this cocktail lounge is more than just a pretty ocean view. If studying were this swanky, we probably would never have graduated from college. 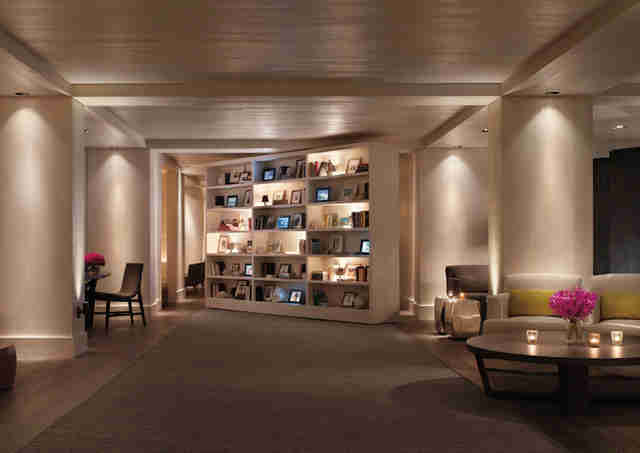 Every afternoon at 5pm in The Modern’s lobby, a wall of books gives way to a hidden nook filled with minimalist white accents, mood lighting, and plush sofas and armchairs. Somehow, even the chic bathroom décor makes for an Instagram-worthy backdrop. You can pull an all-nighter with your friends in The Study, this time with a handcrafted cocktail. If there’s a hole in your soul that can only be filled with guacamole, this upscale Mexican restaurant and bar just may answer the call. Well-seasoned smashed avocados aside, the open-air rooftop lounge offers some serious eye caramelo, with shaded railing tables, umbrella-capped patio seating, ivy-covered walls, and an artfully designed 55ft bar spanning nearly the entire length of the patio. Even the small indoor enclave treats the eyes with modern light fixtures and a view of the dark-wooden accents. 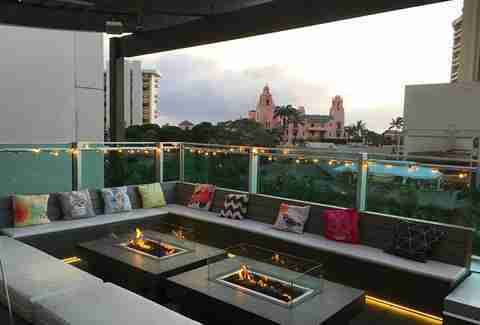 Hovering on the 19th floor of a Waikiki skyscraper, this new rooftop bar offers all the sweeping birds' eye views you never knew you were missing. By day, grab some fresh air and take in panoramic views of Diamond Head and turquoise shades of the Pacific. 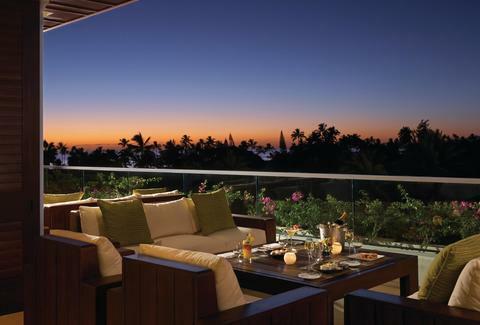 By night, watch city lights flicker on from the wrap-around lanai. When it gets too “cold,” warm your hands around the custom fire pit, or head indoors and mingle around the stained glass bar backdrop and 30ft video wall. On the weekends, the lounge transforms into a nightclub -- put on your glittery outfits and show off your dance moves (or disguise them) in the crowd. 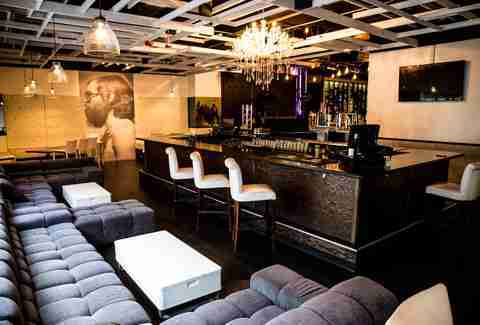 This tucked-inside-a-concert-hall lounge has the allure of an intimate modern-day speakeasy: sleek white bar stools, that dark-paneled bar, and sparkling chandeliers that would’ve made Jay Gatsby proud. A sanctuary away from the nearby shopping mall bars, The Safehouse is a relaxing stop for sipping signature craft cocktails next to a giant, floor-to-ceiling poster of an unnamed tattooed-and-bearded fellow. Just before dusk at the Trump International Hotel’s sixth floor lounge, with the silhouette of palm trees against the horizon and twinkling cityscape, it almost feels as though you’re in a different city -- if not for the ocean view. Sliding, cherrywood-paneled doors separate the indoor bar from the open-air lanai, where white-cushioned sectionals and sleek café tables line the balcony. Inside, recessed lighting highlights the interior’s leather seats and black marble bar, where the backlit liquor collection features drips of absinthe. Here, you can sip the once-banned spirit the old fashioned way -- slowly diluted with water, under a sugar cube. Pretend you’re an early-20th century French painter, plotting your next masterpiece. Summer Nakaishi is a freelance writer for Thrillist and is busy counting down the days until her next adult beverage.